His trademark crooked nose was caused by having his nose broken once in high school and again in college during a flag football game at the University of Texas. Owen landed minor roles in big budgeted movies very quickly such as The Cable Guy which was directed by Ben Stiller. After minor appearances in action films like Anaconda, Armageddon and The Haunting, Owen got his big break with the 2000 comedy action hit Shanghai Noon starring opposite Hong Kong action star Jackie Chan. After the success of Rush Hour, producers thought the buddy formula could work again with Jackie Chan being paired with a white man this time. And they were right. The film was a success, grossing nearly $100 million dollars worldwide. Owen returned to the buddy comedy genre in 2002 with the action comedy I Spy, co-starring this time with Eddie Murphy. The big screen remake of the television series flopped at the box office. He then reunited with Chan to make Shanghai Knights (2003), teamed up with Ben Stiller in the movie remake of the television series Starsky & Hutch (2004), and partnered with Vince Vaughn in the 2005 Wedding Crashers which grossed over $200 million dollars in the US alone. In 2001, Wilson and Anderson wrote their third film, The Royal Tenenbaums, which was a financial and critical success. The comedy featured an all-star cast, including Gene Hackman, Ben Stiller, Anjelica Huston, Gwyneth Paltrow, Luke Wilson, and Danny Glover. Wilson had a memorable supporting role in the film as a Professor-turned-bestseller “Eli Cash.” It earned the writing team an Academy Award nomination for Best Original Screenplay. Wilson\’s roles have varied between small, quirky comedy collaborations with Anderson and bigger budget box office fare. Wilson, along with Ben Stiller, Luke Wilson, Will Ferrell, Vince Vaughn, Jack Black, and Steve Carell are considered members of the Frat Pack. He is the first “Frat Pack” member to receive an Academy Award nomination. He has been in seven movies with Ben Stiller, up to this date. They are The Cable Guy (1996), Permanent Midnight (1998), Meet the Parents (2000), Zoolander (2001), The Royal Tenenbaums (2001), Starsky & Hutch (2004) and Meet the Parents (2004). Do you want to hire Owen Wilson? Directly request a quote. In 48 hours we can send you the availability of Owen Wilson If you would like to book Owen Wilson, Entertainment Booking Agency is the right place. 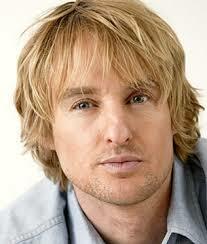 We will offer you the best price and contact the management or we directly contact Owen Wilson. For corporate appearances or speaking engagements you can contact our agents and the will help you true the process. Tags: hire Owen Wilson, Owen Wilson booking, book Owen Wilson, Owen Wilson appearances, find more information on booking Owen Wilson for appearances, Owen Wilson speaking engagements, Owen Wilson endorsements/spokesperson, Owen Wilson appearance fees, Owen Wilson booking agency contact info, biography of Owen Wilson, Contact an artist booking talent agent find a speakers bureau that can book Owen Wilson, speaker booking agency for Owen Wilson, Owen Wilson booking agency, Owen Wilson booking for corporate event. EBA is one of the biggest entertainment booking agencies in the World. We book hundreds of celebrities, artist, athletes and speakers in a year. Important to know is that we are not claiming to be the management of Owen Wilson. We are not the official agent for Owen Wilson. Companies from around the globe book these artists and speakers true our company be course we have one of the biggest networks and we always have direct contact with the artist or the management. We help you to find the right celebrities for your corporate of private events. Please contact one of our agents to get free advice and we will help to get the world-famous artist on your party.